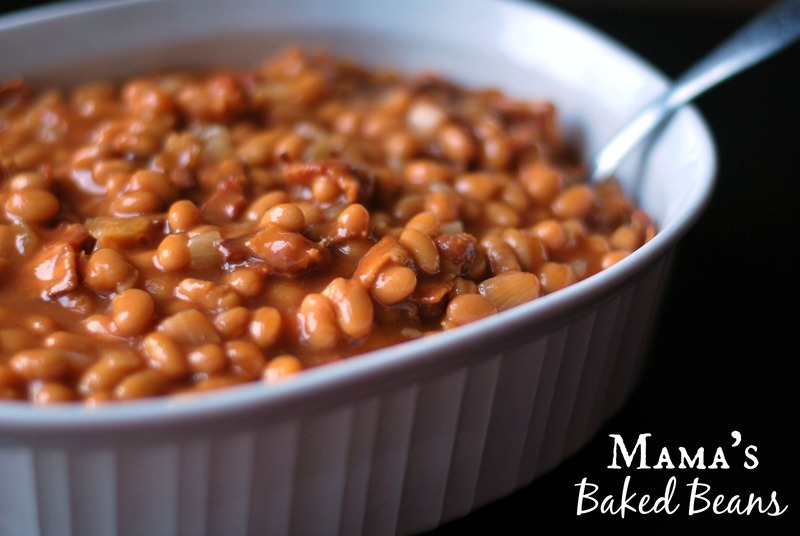 My mama has been making these baked beans since before I was born, without measuring of course. She was so sweet to take the time to measure out her recipe so I could share it with you guys! Uncle Bee is REALLY happy because I can make them any time for him now! He LOVES these baked beans. This recipe is best after it has sat in the fridge overnight, so definitely make it a day ahead of time, then you can rewarm them in the microwave, oven or in a slow cooker! Preheat oven to 350 degrees. Saute onions over medium heat for 5 minutes. 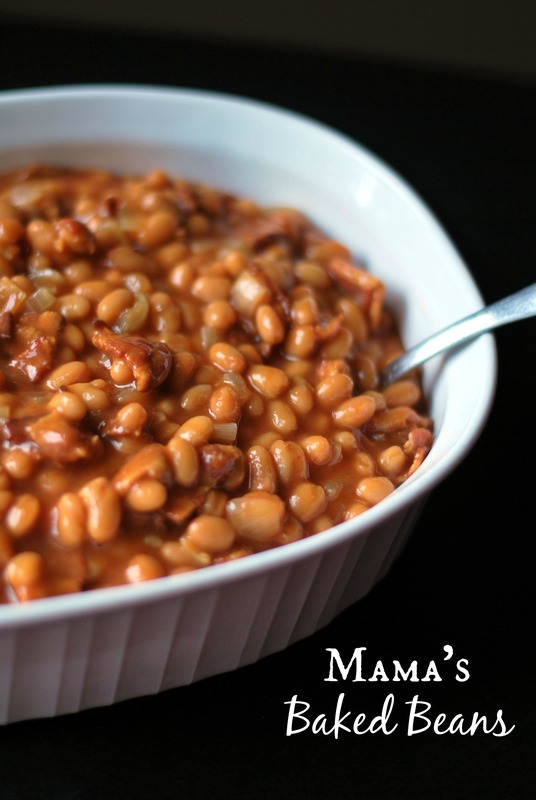 In a large bowl, combine sauteed onions, crispy bacon, beans, ketchup, bbq sauce, mustard, and brown sugar. Spray a 9×13 casserole dish with cooking spray and pour bean mixture in pan. Bake for an hour, stirring every 20 minutes.